SUPPLEMENTAL INSURANCE (SLI): it is additional liability insurance over and above the state statutory limit. SLI provides You with up to $300,000 total excess liability for damage to other persons and includes $10,000 excess liability for damage to other property. DAMAGE PROTECTION: 2 WHEELS DELUXE will pay for any damage up to $1000 while the renter will pay $0.00; in case of accident or theft, the renter will pay $1000; Flat Tire is not covered by "Damage Protection". 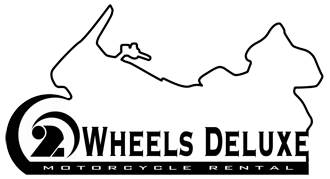 FLAT TIRE REPAIR AND LABOR: 2 WHEELS DELUXE will pay the cost for maximum one flat tire replacement and labor per each purchased policy valid for the entire rental contract. HOTEL RESERVATION and VEHICLE REPLACEMENT: this policy is offered in addition to the renter's travel insurance; this is to be used in the event of a mechanical breakdown requiring the motorcycle to be in repair for more than 12 hours; 2 WHEELS DELUXE will assist the renter in finding and making lodging reservation; 2 WHEELS DELUXE will provide the renter with up to $55.00/day for a replacement rental (car or similar motorcycle); 2 WHEELS DELUXE will refund the daily rates unused. 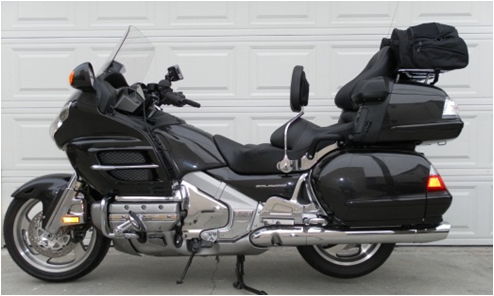 Motorcycle rental includes minimum liability insurance. See Service Terms & Conditions for details.